I live on Earth (in Germany). I have graduated master of "Elektrotechnik - Informationstechnik"
One of my favorite passions is the thought of an autonomous Martian settlement. I believe the colonization of the planet Mars is possible, and it is worth much more effort than the governments on Earth are willing to spend today. 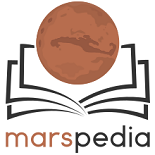 A few days before I discovered the Marspedia project I had the idea to create such a wiki about the foundation of an autonomous colony, but I had no idea how to set it up. Surfing the Internet I discovered Marspedia, and all of a sudden I felt at home, glad to have found people sharing the same passion. Years ago I read "The Martians" by Kim Stanley Robinson. It is just great, although I do not really like the idea of terraforming. It is probably beyond our abilities. Recently I read an inspiring Short Story: "The Cascade" by Sean McMullen. Yes, I am very fond of SF, but there is a fine line between SF and the job I am doing here. I am strictly staying on the realistic side of the line. Any speculation about some magic future technology, that might help us bringing the Martian settlement to life, is misleading. Any open issue, that can not be clarified, is a blocking point in the end. After some energy calculations about food production in greenhouses my optimism has been dampen a little bit. But nonetheless, I am convinced we can do it. My favorite activities here on Marspedia are the outlining of ideas about the colonization, including general concepts and basic problems to be solved. Frequently I mark out open issues for questions to be answered by other people with special knowledge. I look forward for scientists from various subjects to join us, answering the unresolved issues. Also, I try to make Marspedia visually a little more attractive with some illustrations. Other (and probably better) artists are always welcome. Last but not least I try to clarify the crucial issues. I like receiving feedback, and I like to give feedback. In a project like this we are faced with challenges and uncertainties very often, and hence need a culture of mutual criticism and enhancements. If anything I write in this project sounds strange or is hard to understand then I hope to see corrections or at least receive hints about it, and together we will fix it. ... but only if the settlement is equipped to be really independent from Earth, with the ability to grow and prosper from their own resources. And I wouldn't go without my family. Probably, there is no way to convince my wife. However, if living on Mars is comfortable enough, that is, the houses are heated well, and Earth is always virtually nearby, and children can live and grow there, and whole families can do the trip, there might be a chance, one day.